This entry was posted on Friday, October 30th, 2009 at 8:00 am and is filed under Comics. You can follow any responses to this entry through the RSS 2.0 feed. You can skip to the end and leave a response. Pinging is currently not allowed. 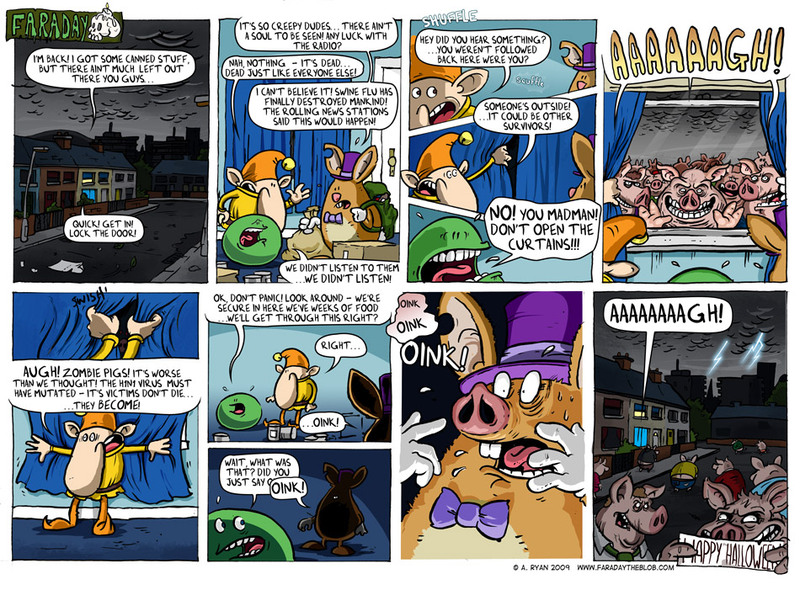 oink returns from the dead and meets faraday.could this be the start of a series. Yeah it’s amazing how easy my brain finds it to draw pigs! Misspent youth and all that! Orwell Returns! The Resemblance is uncanny. You mean panel 7? It’s actually two seperate panels, should probably have closed the speech bubble in the panel below.